Convicted felon Natalie Jones once gave her heart to Gage Merona. Now her heart belongs to eight-year-old Dash, the son Gage doesn't know about. 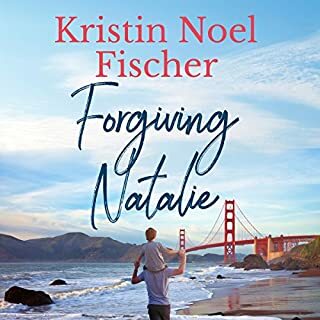 Determined to face the criminal charges against her, Natalie moves Dash across the country to meet his father for the first time. 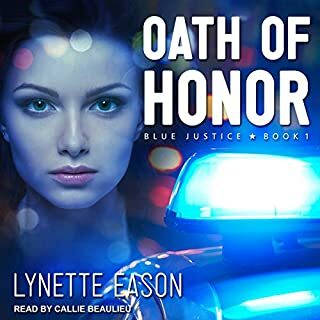 Although Dash is Natalie's whole world, her plan for redemption involves the heartbreaking task of leaving him with Gage. Will Natalie be able to forgive herself for what she must do? Will Dash? And what happens when emotions between Natalie and Gage rekindle? How will Gage react when he learns the actual truth of what happened all those years ago? Anna's Courage is a heartwarming love story about having the courage to be brave in spite of your fears. From the author of A Mother's Choice, comes a new series filled with romance, faith, and healing. Told with humor and sincerity, Anna's Courage will have you yearning to visit the peaceful community of Rose Island again and again. This is an emotional story about loss, fear, forgiveness, courage, love, faith and taking chances. Anna is a window and has been raising her son alone for seven years. Her husband was killed in the line of duty. She has vowed to never get involved with a military man but her heart has other ideas. Nick is a single man and although he has vowed never to have kids of his own finds himself in unexpected situation of caring for two precious kids. There are ups and downs and Nick has big decisions to make regarding his life and the precious kids he loves so much. Great clean christian romance. Military wives sacrifice a lot and you get a glimpse of what they can go through and how difficult their lives can be. Faith can help them deal with the hardships of loosing a husband. This audiobook was provided in exchange for my honest and unbiased opinion. 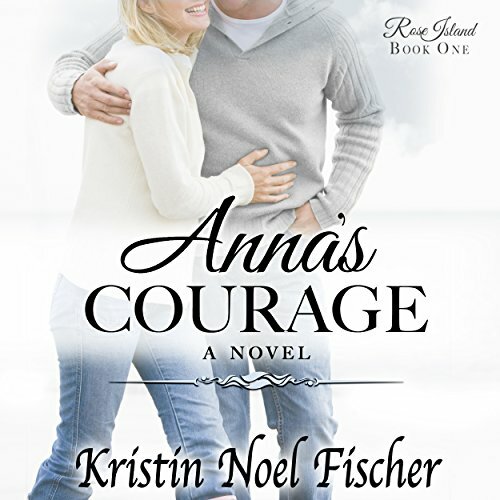 Anna's Courage by Kristin Fischer is a love story that makes you believe in love the second time around. Anna is a military widow raising her son on Rose Island amidst a host of in-laws and her parents. She has decided that she will live a safe life and stops flying helicopters and is hyper diligent with her son. Her next door neighbors throw a New Year’s Eve party and she meets his brother and share a kiss then runs away. A year later the brother is back due to the tragedy of losing his brother and sister-in-law in a car accident. They have left him in charge of their ten year old daughter and less than eighteen month old daughter. He has never wanted kids because his mother abandoned him and his older brother and his father was a present in body but absent in spirit father and he does not believe he can be a father. The story goes on from there. They are thrown together in his effort to take care of the girls and suddenly they are running into each other or calling on each other for help. Both fighting what seems to be what both need. Each other. Nick tries to get the girls adopted but can’t let them go and he procrastinates constantly. He finally has two experiences that let him know he not only can’t let the girls be adopted but that he needs and wants God in his life. 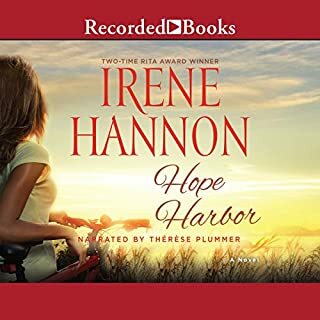 Anna realizes that she is the witness that God is using to help bring Nick back to Him and also to provide the girls a stable home and reunite with his father. My favorite quote from the story is “You can’t outrun God. When He wants you He will get you.” The whole story made me more aware of my faith walk with Christ. God is with us even when we try to run away and He is always loving on us. 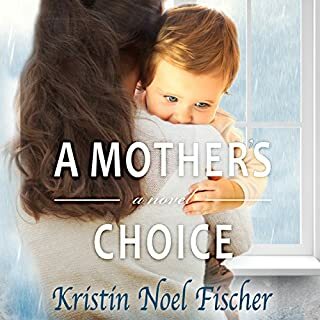 Anna, an army widow, and NIck, recently taking custody of his nieces, help each other with parenthood, faith, trust, and love. This is one of those feel good, romance stories that makes you smile at the end. Rebecca Rush was a wonderful narrator. Her voice is pleasing, and I loved the way she did the children's voices. Get lost on Rose Island. What did you love best about Anna's Courage? I loved listening to Anna's Courage, it was so easy to get lost in the story. I had read the book when it first came out and enjoyed listening to it on audio. What was one of the most memorable moments of Anna's Courage? I love the part in the Story where Anna and Nick on New Years where he helps her celebrate a family tradition her son is not there to do. What about Rebecca Rush’s performance did you like? Rebecca Rush made it so easy to get lost in the characters with the voices she gave each one. Such a sweet story. I can't wait to read the next edition, and learn about some new characters. This story gripped me from beginning to end! I laughed and cried. Great story about love, loss, forgiveness, and courage! Great storyline about courage. To have courage, doesn't mean you'll have no fears. Anna, Nick and their families learn that life is meaningless without courage. Beautifully narrated, nice distinction between male/female...older and younger ages. Ms. Fischer weaves a wonderful story. The main characters are strongly created. I got lost in the story. Great author/narrator pair. I received this copy via audiobook boom in exchange for an unbiased review. Anna's Courage is a beautifully written and narrated book about love and loss. But it is also about family and putting your trust in God. I love the characters and their interactions. I can't wait to listen to more audio books in this series! I was given a copy of this audio book in exchange for an honest and unbiased review. Love the storyline. 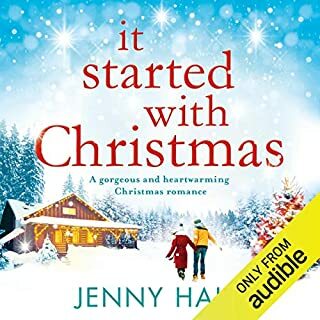 I listened to this book on audible and I couldn't turn it off. I really, really liked this story! 1. 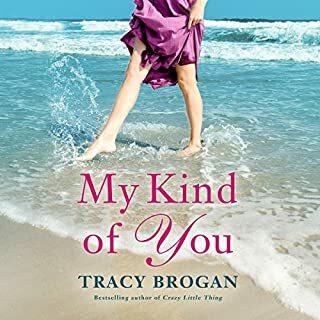 The author is a very talented writer, she draws you into the story and connect with the characters. 2. It was a good clean Christian romance that centers around overcoming your fears and having enough faith to trust God with them. 3. The narrator did an amazing job "actng" this story out. My favorite character was Travis, his voice reminded me of Chucky from The Rugrats!